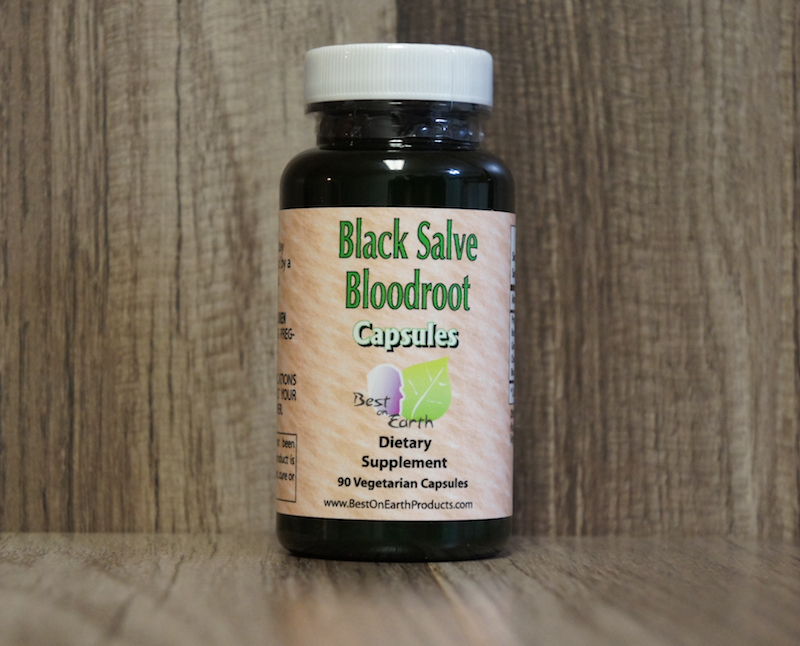 We are an official distributor of Black Salve Bloodroot. Does not contain zinc chloride (only necessary for in our topical black salves). Our natural formula contains a 125mg herbal blend of graviola, burdock root, chaparral, bloodroot, as well as natural rice flour in a 500mg vegetarian capsule. 90 capsules per bottle.